Jahlil Okafor was born on 15 December 1995, in Chicago, Illinois USA, to former college basketball players Dacresha Lanett Benton and Chakwudi Obika Okafor, and is a professional basketball player with the Philadelphia 76ers of the National Basketball Association(NBA). A successful player, how rich is Jahlil Okafor now? Sources state that Okafor’s net worth reaches $2 million, as of late 2016. His wealth has been earned during his basketball career. Okafor grew up living in both his mother’s home in Oklahoma, and his father’s home in Chicago, along with his three siblings. When he was nine years old, his mother died of bronchitis and he was raised by his father and his aunt, living first in Chicago, and later moving to Rosemont, Illinois, where he attended Rosemont Elementary school. The family eventually moved to North Side of Chicago, where Okafor attended Whitney M. Young Magnet High School, leading the school to the 2013 Chicago Public High School League city championship in his junior year. As a senior, he was named the National Player of the Year by Parade, McDonald’s and USA Today. As the pre-season Collegiate National Player of the Year, Okafor signed with Duke University in 2014. He played for one year for the Duke Blue Devils, helping the team to win the NCAA championship in 2015. While at Duke, he was named a Consensus first-team All-American, USBWA National Freshman of the Year, and ACC Player of the Year. Later that year, he was selected as the third overall pick by the Philadelphia 76ers in the 2015 NBA Draft, signing a two-year deal with the team, with options for two additional seasons. His net worth was well established. 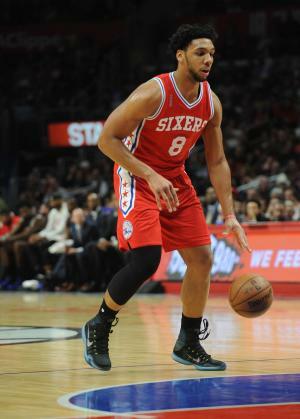 Appearing in 53 games during his rookie season, Okafor averaged 17.5 points and seven rebounds per game. By defeating the Los Angeles Lakers 103–91 at the start of the season, the 76ers ended the longest losing streak in the history of major professional sports in the USA, and the worst start in the history of NBA. After suffering a knee injury in early 2016, Okafor had to sit-out the rest of the season. He still finished fifth in the 2016 NBA Rookie of the Year Award voting, earning NBA All-Rookie First Team honors. Aside from the NBA, Okafor has also represented the USA in international competition. Playing for the USA’s Basketball 12-man Team USA at the FIBA Americas Under-16 Championship in 2011, he helped the team to win a gold medal. By achieving 46 rebounds over 5 games for the tournament, he became the second-leading rebounder in the US team and third at the Championships. He went on to play for the team the following year as well, at the 2012 FIBA Under-17 World Championship, being named tournament MVP, and MVP for the gold medal-winning US team, again leading in both points and rebounds. A year later, Okafor made it to the USA Basketball Men’s U19 World Championship team training camp, and was selected to the 2013 FIBA Under-19 World Championship, helping the team to win a gold medal once again, and being named to the All-Tournament team. When it comes to his personal life, Okafor seems to be quite secretive, and therefore, there is no information known to public about his current relationship status. However, the player is known for being involved in various incidents, such as being fined for speed violations, being involved in street fights and other controversial off-the-court situations.